Movie Adaptation of the Kabuto series version. 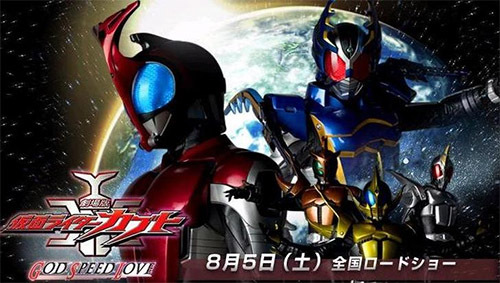 Unlike many others Kamen Rider movies, it does not follow the TV series's storyline. Instead, it is more like a prologue. The movie shows an alternate universe where the close relations between Riders did not exist and the impact of the first meteor evaporated all of Earth's oceans. Seven years after the meteor hit Earth, ZECT pretends to use a passing comet to refill the Earth's oceans, while in fact they are pulling another meteor to crash on Earth, one large enough to destroy the world.